It all began in 1958 when Jacques Leonard asked Daniel Tribouillard to start a new company: Leonard Fashion. A man of artistic temperament, Daniel Tribouillard set out to differentiate the brand in Haute Couture. In 1960, he launched a revolutionary new process for printing English weaves, that were very fashionable at the time but said to be “unprintable”. His clients were won over and the bold young man was applauded across the globe. In just a few years, encouraged by the success of his much-loved floral prints, Daniel Tribouillard brought the Leonard brand to the world. He developed his style by adopting the orchid as an emblem: a delicate wild flower “without geometric limits”. Indeed, Leonard’s originality is founded on a unique and recognizable style shared by all of its designs – and also, the fabrics used. In 1968, Daniel Tribouillard presented his first collection of printed silk jersey dresses with a slogan emphasizing the lightness of the fabric: “The Leonard Dress: 150g of happiness”. In the early 70s, the House diversified its production (perfumes, ties, silk scarves…) and created its own distribution network. The years went by, innovations and inventions came one after the other and shaped the brands reputation. In 1994, the House of Leonard joined the French ‘Féderation de la Couture’ and performed its first fashion show at the Carrousel du Louvre. Leonard’s reputation spread quickly beyond the frontiers of France and Europe to the world, particularly Asia. In 1970, Leonard joined the prestigious Comité Colbert, which promotes the French “art de vivre” internationally. Created in 1954 by Jean-Jacques Guerlain, the Comité Colbert brings together 75 luxury French fashion houses and 13 cultural institutions. Over the last 40 years, Leonard has become a key ambassador for France across the globe. In 1983, Daniel Tribouillard – who has a great fondness for Japan – received the ultimate accolade. The Japanese government commissioned him to update the kimono. The first occidental to penetrate the secret of traditional kimono design in 1800 years, Daniel Tribouillard accomplished his mission with aplomb and established the Leonard brand in a country that most Houses find difficult to seduce. 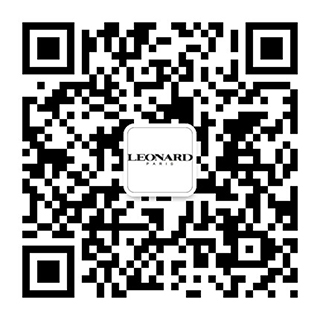 Luxury, modernity, comfort: three key words to describe collections created by Leonard. Their success is due to the finesse and unique character of each design, but also to the talent of the designers who bring a different vision of shape and form to the creations each time – while always respecting the prints and codes of the House. In 2006, Leonard exhibited at the “Musée des Arts Décoratifs” in Lyon and in 2007, the brand acquired the label “Entreprise du Patrimoine Vivant” (Living Heritage Company).